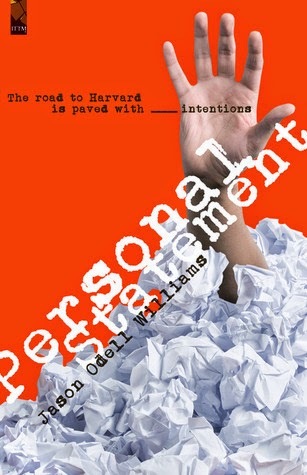 Personal Statement is the most realistic, funny, and brilliant book I’ve read. Ever. Have you ever worked all your life to reach somewhere? Be someone? That everything before that one thing is just a prelude? Well, this is them. Emily Kim, Robert Clinton the Third, Rani Cadwell and the thousands of other kids (fictional or otherwise) gearing up for the prize. Harvard. Stanford. The Ivy League. The thing is, to get there? It’s a bloodbath. Everybody wants to be the best. Why wouldn’t they? And getting a piece of paper from one of these universities, one of the best, it can and has changed lives. The perfect tale on pressure to be the best is here! Odell Williams manages to capture perfectly, everything it means to be a person in today’s generation. The fine line between path to greatness and being over-bearing- and shows us subtly the answers to the questions churning in our minds. I really have nothing to say, other that the fact that this book was PHENOMENAL! I couldn’t give it a higher recommendation- to pretty much anyone! I solemnly swear that this book will blow your mind! !